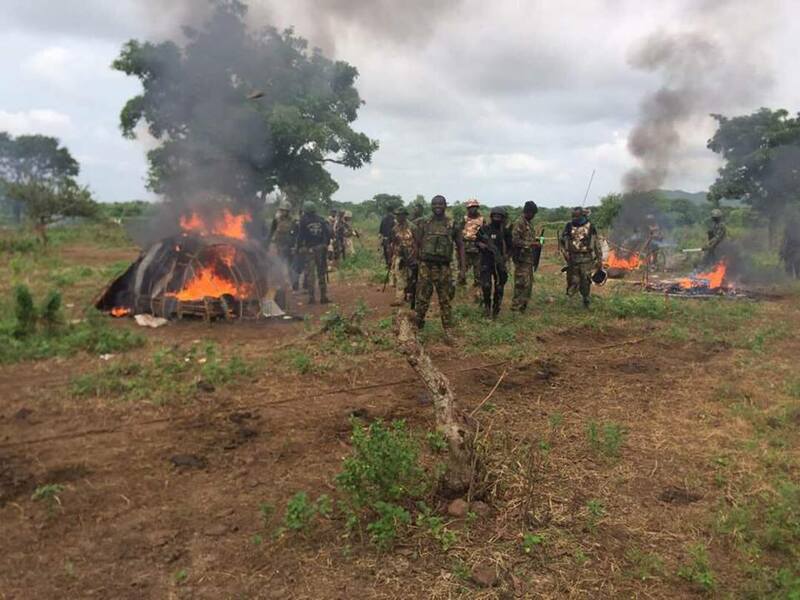 Troops deployed in Operation Whirl Stroke, Saturday while on clearance operation along Gbajimba – Akor axis in Guma Local Government Area of Benue State encountered armed militiamen with large herds of cattle. The troops dislodged the armed militiamen from their camp following a superior firepower. Brig. Gen Texas Chukwu, Director Army Public Relations, in a statement claimed unspecified number of the armed militiamen have been suspected to be killed by the troops while others escaped into nearby bushes with gunshot wounds. Chukwu said efforts were on to get other fleeing members of the armed militiamen by the troops. He listed items recovered to include one AK 47 rifle, two AK 47 rifle magazines, 60 rounds of 7.62 mm special ammunition, five motorcycles.